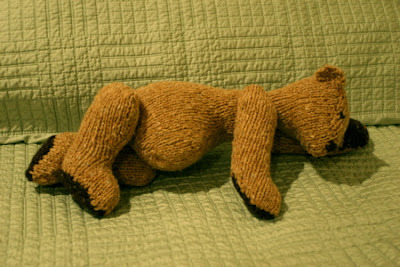 Notes: This was my first stuffed animal, and it was a lot of fun. I even got over my aversion to seaming! I did go down one needle size from what is recommended for the yarn to get tighter stitches, and this, along with the tweediness of the yarn itself, really helps disguise any stuffing show-through. 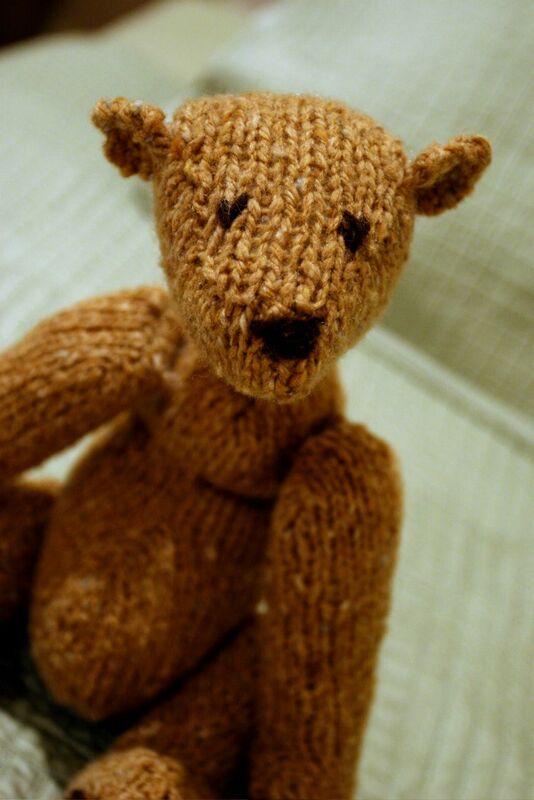 The pattern itself produces a very cute bear, but it's not the easiest pattern to follow. For one thing, many of the bears in the book share similar features, so the patterns refer you back and forth--use Ralph's body and Christopher's head, etc, etc. It's very Frankensteinish! 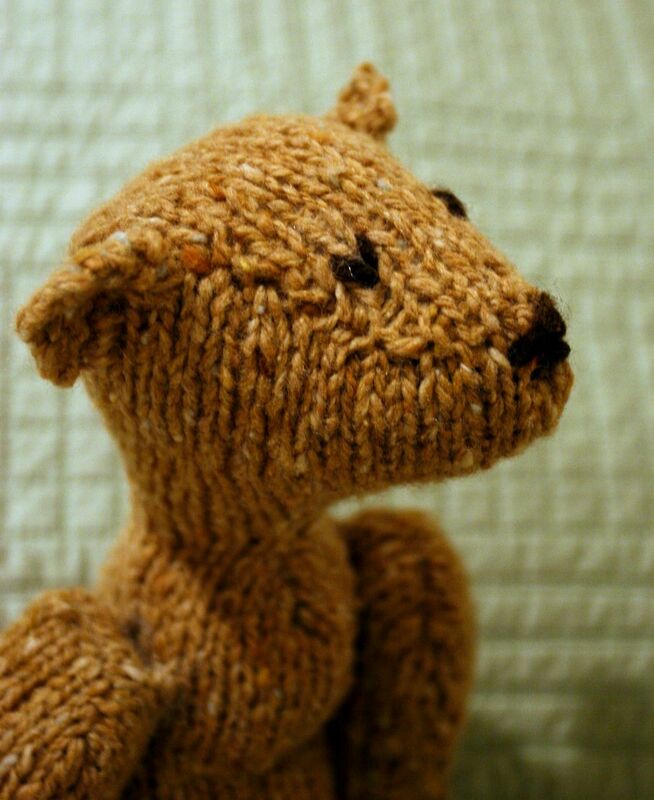 In order to make symmetric pieces, the pattern sometimes calls for shaping at the beginning of the row for, say, the left paw and then the reverse shaping at the end of the row for the right paw. That's the type of thing I'm used to, so it's no big deal. For other pieces, though, the shaping is reversed by having you start with a wrong-side row instead of a right-side row, so that most of the shaping is down on the purl side, which I'm not used to. It took a bit of experimenting to figure out how to work a left-leaning vs. a right-leaning decrease when you're working from the purl side. It would have been nice if the patterns would have been more consistent on that.